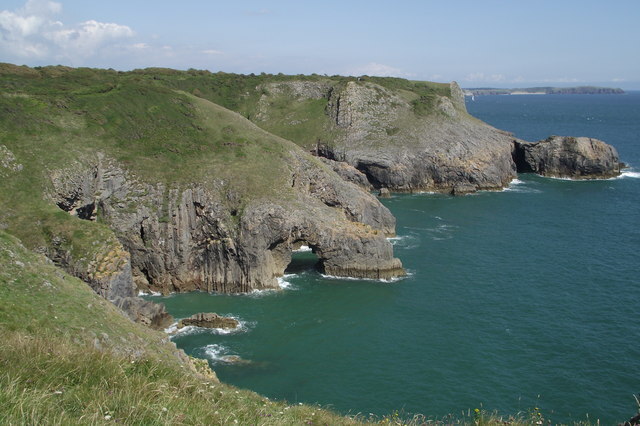 A natural arch near Skrinkle Haven. Caldey Island (SS1396) visible in the distance. © Copyright Keith Williamson and licensed for reuse under this Creative Commons Licence. This page has been viewed about 132 times.